Introducing our new Crispy Drop! Our company participated in the exhibition “ISM 2016”, 31 january – 03 February, held in Cologne – Germany. The new sweet pebble Rhodes and the sugar dragee Together Starcciatella were awarded one & three gold stars respectively, by the Internation Taste & Quality Institute. Our company took part in the exhibition “ARTOZA”, held from February 27th to March 2nd 2015 in the exhibition space Metropolitan Expo, Athens – Greece. Our company participated in the exhibition “ISM 2015”, 01 February – 04 February, held in Cologne – Germany. Our company has participated in the exhibition “ISM 2014”, 26 January – 29 January, held in Cologne – Germany. 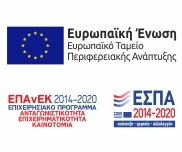 Our company took part in the exhibition Wedding – Christening “New Life”, held from 17 until 20 January 2014 in the exhibition space MEC Peania, Athens. 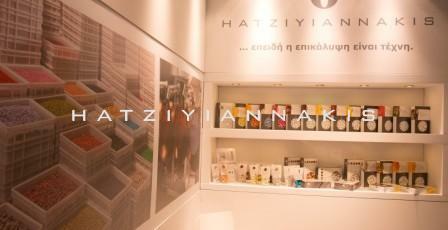 Our company took part in the exhibition “ARTOZA”, held from 22 until 26 February 2013 in the exhibition space Metropolitan Expo, Athens – Greece. Our company has participated in the exhibition “ISM 2013”, 27 January – 30 January, held in Cologne – Germany. Our company took part in the exhibition Wedding – Christening “New Life”, held from 20 until 23 January 2012 in the exhibition space ExpoAthens, Athens. Our company has participated in the exhibition “I.S.M. 2012”, 29 January – 01 February, held in Cologne – Germany. Sugar dragée with sugar center coated with real silver. Pieces of almond with chocolate coating, in dfferent shapes. Mini crispy core of cereals coated with milk chocolate. Chocolate Dragees – New Packages! Choco Almond mixed tastes multi-colors – New Packages! Almond Velvet Avola – New Packages! Bijoux Supreme – New Packages! Crispy Dragees – New Packages! Our company participated in the exhibition “Traudich”, in Stuttgart – Germany, on 14 & 15 January. Our company took part in the exhibition Wedding – Christening “New Life”, held from 21 until 24 January 2011 in the exhibition space MEC Peania, Athens. Our company has participated, for the first time, in the exhibition “I.S.M. 2011”, 30 January – 02 February, held in Cologne – Germany. Product BIJOUX ”SUPREME” received the award of two star by the International Taste & Quality Institute (ITQI), which took place in Belgium, in March 2011. Small sugar dragée (2-3mm) – colored sugar. 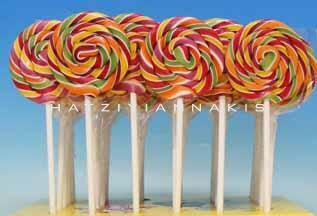 Colors: Red, Yellow, Light Green, Light Blue, Light Pink, Light Orange, White (mixed or seperated). Rebranding of our company profile. CHOCO ALMOND YOGURT, CHOCO ALMOND STRACCIATELLA, CHOCO ALMOND GIANDUIA Dragees of exceptional quality! Choco Almond Yoghurt: whole roasted almond with white chocolate & yoghurt flavouring, with thin layer of sugar…. Our company has participated in the exhibition “Sweets & Snacks Middle East ’10”, 31 October – 02 November, held in Dubai. 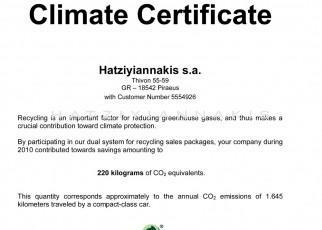 Our company was certified by the German company named “der Grüne Punkt” and received the certificate of compliance climate, which is given when contributing to climate protection using recyclable packaging…. 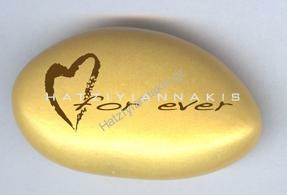 New product in series Chocolate Dragées from Dragées Hatziyiannakis. Crispy core for cereals coated with milk chocolate. Our company has participated in the exhibition “Wedding Show ’09”, 10-11 January, held in Cyprus. DRAGÉES HEART PEARLISCENT & METALLIC Heart dragées in new Pearliscent colours, Cream, Light Pink, Light Blue & Metallic colours, Bordeaux, Gold, Copper, Silver. 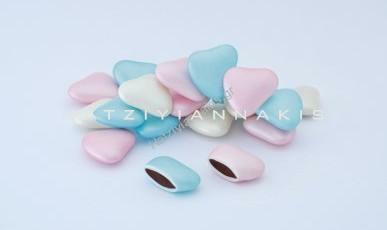 Whole roasted hazelnut & milk chocolate in various colours. 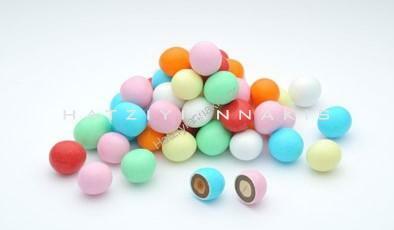 VELVET ALMOND VANILLA FLAVOUR Dragée of exceptional quality! Whole roasted almond Avola with thin layer of sugar & vanilla flavour. BIJOUX MELON – BIJOUX WATERMELON Filled with white chocolate & melon or watermelon flavouring. Our company upgraded its food safety system in accordance with International Standard ISO 22000:2005, in July 2009. Our company participated in the exhibition “Traudich”, in Munich – Germany, on 14 & 15 November. Variety of choco almond tastes is extended, except for new delicious tastes, in new colors. Dragées Bijoux Flavours filled with white chocolate & various flavours of fruits: orange, lemon, coconut, pineapple, strawberry, melon & watermelon. Our company has proceeded in purchase of 17 acre in Shimatari, Viotia aiming at the construction of a modernized and fully equipped factory 4,000 square meters. 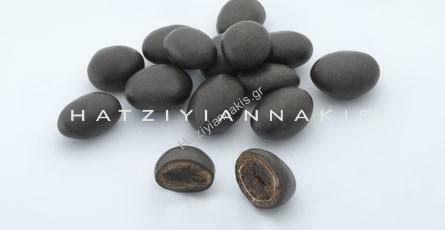 Dragee of exceptional quality! 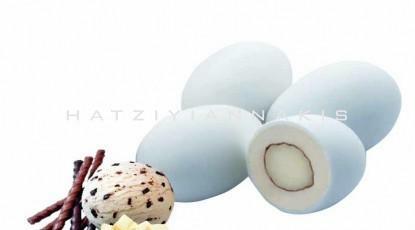 Whole roasted almond with white chocolate and coconut flavouring, with thin layer of sugar! 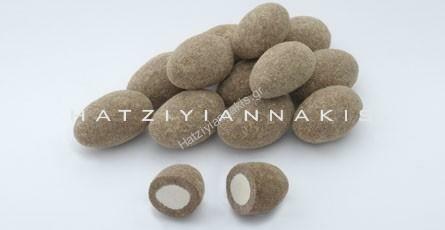 Dragee of exceptional quality! Whole roasted almond with bitter & white chocolate and thin layer of sugar! NEW PALLET OF PEARLISCENT COLOURS Dragées Bijoux Bitter & Almond Nr2 in new Pearliscent colours, Cream, Light Pink & Light Blue. NEW PALLET OF METALLIC COLOURS Dragées Bijoux Bitter & Almond Nr2 in new Metallic colours, Bordeaux, Gold, Copper & Silver! The branch operates as chocolate production unit. 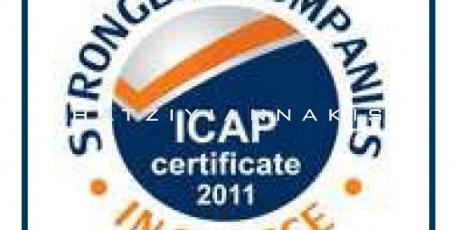 Our company was certified according to ISO 9001:2000 & ELOT 1416 (HACCP) on July 2004. 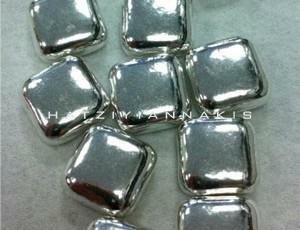 Our production line has been standardized and all parameters are being strictly controlled. The branch of Thessaloniki moves to privately owned facilities in Kalochori of Thessaloniki. 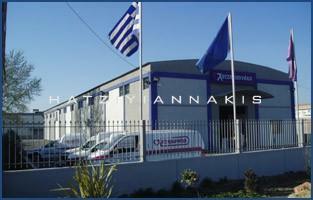 The branch in Thessaloniki is established aiming at first to operate as the distribution center for Northern Greece. The Dragées Hatziyiannakis S.A., an Anonymous Corporation with head offices in its privately owned buildings in Piraeus, is founded. The company is established by Nikolaos Hatziyiannakis, having as sole object the production of dragées.